Do you want to create a polaroid photo gallery in WordPress? Recently one of our users asked us if it was possible to add a polaroid gallery with Envira Gallery. The answer is YES. In this article, we will show you how to add a polaroid gallery in WordPress. By default, WordPress galleries don’t have the feature to display your photos in the polaroid style. Since we know several of you requested this feature, we added it in Envira Gallery. Using Envira, you can easily create a polaroid gallery in WordPress. The first thing you need to do is install and activate the Envira Gallery WordPress plugin. 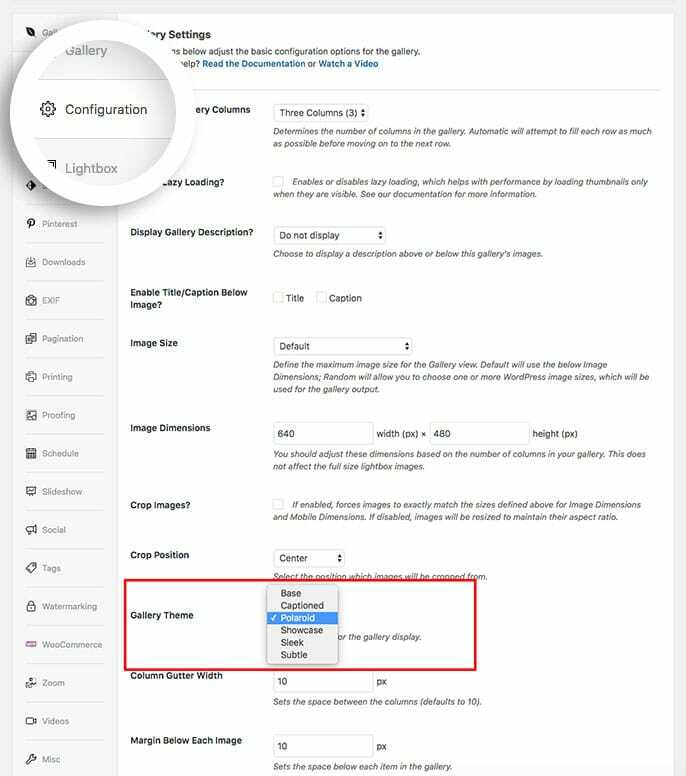 Upon activating the plugin, you need to add an image gallery in WordPress. Check out our step by step tutorial about how to create an image gallery with thumbnails in WordPress. After adding the image gallery, you can now proceed to create the polaroid display. You need Envira’s Gallery Themes Addon to add the polaroid gallery view for your images in WordPress. You can install and activate Gallery Themes Addon from the Addons tab in Envira Gallery » Settings. If you need assistance in activating addons, please review our guide on How To Activate Addons. In this instance, we’ll be activating the Gallery Themes Addon. Once the addon is activated, you need to edit your image gallery and go to the Configuration tab in the Envira Gallery settings. In this setting, you need to change the Gallery Theme to Polaroid and make sure to click on the Update button. That’s all. You can see this demo of how your images will appear in the polaroid gallery. We hope this article has helped you to learn how to add a polaroid gallery in WordPress. You may also want to check out our guide on how to create a masonry image gallery in WordPress. Hi, I´m using your plugin and I have a question, could you tell me if I can disable the name on each picture using polaroid theme ?